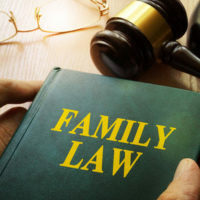 One of the most difficult decisions a separating couple must make is deciding who will get physical custody of the children and who will have legal custody to make decisions for the children. Maryland law does not favor either the mother or father and presumes each natural parent is also the natural custodian of the children. The standard in deciding child custody matters is to look at the “best interest” of the child. The law will always focus on what is best for the child. A child custody attorney will help you understand your rights as a parent and what to expect during the hard process of determining child custody. All court ordered custody disputes involve two factors, legal and physical custody. Legal custody involves the ability to make major life decisions and plans for the medical care, education, discipline, religious training and other matters regarding the child’s welfare. Physical custody involves making decisions on the child’s every day concerns and where the child will spend his or her time. A person does not need to have physical custody of a child to have legal custody. This means a person can have legal custody even if the child does not live with them. A parent may be granted sole legal custody and will have the authority to make long term decisions for the child without the input of the other parent. Under joint legal custody, each parent has an equal share in making the long-range decisions of the child. Parents must work together to raise the child and share control of rearing the child. Joint legal custody requires both parents to be willing and able to effectively communicate with each other to make decisions that focus on the best interests of the child. One parent has physical custody of the child and the other “non-custodial” parent only exercises physical custody over the child when visitation rights are granted. The child has two residences under joint physical custody. The child will spend time with each parent and both parents will contribute to the expenses of the child in addition to paying any awarded child support. Understanding the difference between physical and legal custody is an important first step in determining child custody. At the Law Offices of Todd K. Mohink, PA, we know that you are concerned about the wellbeing of your children. We work to resolve matters as efficiently and effectively as possible through fair and reasonable negotiation. Consult with a skilled Anne Arundel or Howard county family law attorney to advocate on your behalf. If these matters are not able to be resolved in a timely and diplomatic manner, we will litigate to establish and defend your child custody rights and the best interest of your child.